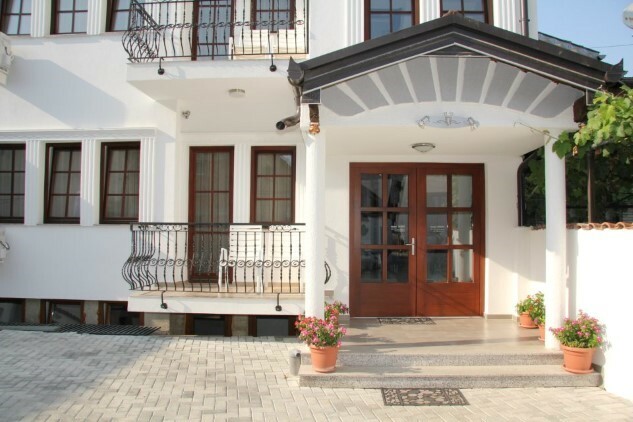 Located in one of the most beautiful parts of the city of Prizren. 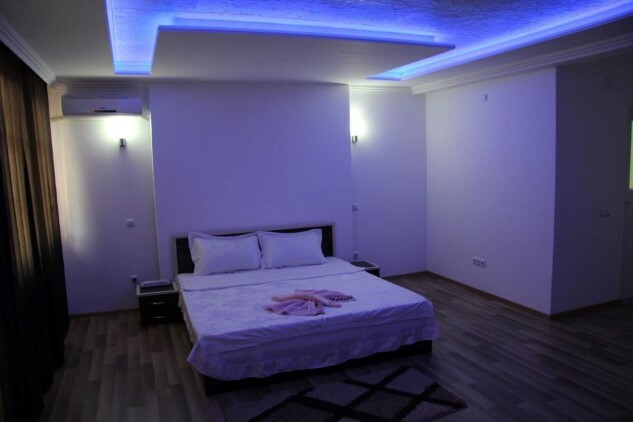 Also Venisi Hotel is located just 2 minutes from the center of Prizren (Fountain). Available to Customers Even room service is 24 hours, as well as cleaning services and maintenance of the room. Also facing Venisi Hotel room Plenty of free parking for Clients with Capacity for over 100 Vehicles, which allows Greater flexibility and security for visitors and Customers. City of Prizren lies in Southern Dukagjini plane, on 640 square kilometers territory. During history it was known as Theranda, a name which belongs to town of Suhareka nowadays. 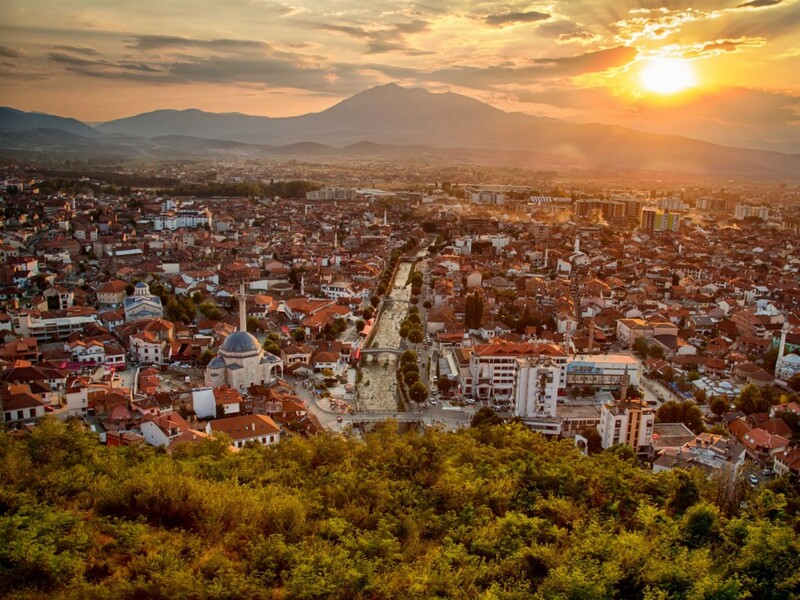 Prizren has a significant role in the region, business and economy wise, because of its geographic positioning in border with Albania and Macedonia. The city lies at 400 meters above sea level, while some of its surrounding hills of Sharri Mountains reach heights up to 2000 meters. In Prizren and its 74 surrounding villages there are 240,000 inhabitants, with diverse ethnic origins, thus living in full harmony and giving a cultural diversity to the city. Except for the majority Albanians, the rest are mostly Bosnians, Turks, Roma, Egyptian, Ashkali and a small number of other minorities. During the 11th century it was known as an important urban settlement. In 1019, its mentioned as headquarters of Byzantine Empire Church. During Serbian rule (12th till 14th century), the region became inhabited by Slavic population. During the rule King Dushan and Urosh, from time to time Prizren has served as headquarters of these kingdoms. Prizren is located, at around one and half hour time bus drive from the capital Prishtina. Bus lines from Prishtina, Gjakova and Ferizaj are on regular basis. There are also direct travelling lines from Prizren to Skopje, Albania and Belgrade. 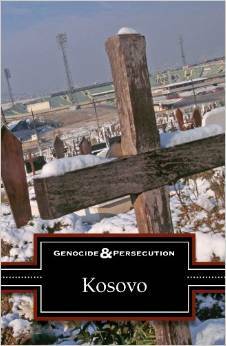 Culture and History In order to see the best of Prizren, one may need a full day’s time. Initially, it is recommended to park outside downtown, if travelling by car, since parking is an issue in downtown Prizren. Behind Hotel Theranda, located in downtown Prizren, is the Sarachane / Kukli Beu Mosque, which was built in 1534. Next to the mosque is the Halveti Masjid (of the Dervish sect), more than 350 years old. While couple meters away is the house of Hasan Sheu, which is an 18th century house. Gazi Mehmet Pasha Hamam is located right behind the Kukli Beu Mosque. The Hamam was built in 1573, and was used by both men and women in separated rooms, functioning till 1926. Still near the Hamam, is the Emin Pasha Mosque. On the way down further, the Katip Sinan Celepi Mosque is located, dating back to 1591, to be followed by the compounds of the League of Prizren, with the Bajrakli Mosque (or Gazi Mehmet Pasha Mosque, as it is also known) within its compounds, being among the most beautiful mosques in Prizren, built in 1566. Several traditional and old houses are located on Xhevdeet Doda Street, being among them the house of Ymer Haxhi Prizreni, prime minister of the temporary government of the League of Prizren. Museum of League of Prizren, is also located within the same compounds, a must see. The Maksut Pasha Mosque is located opposite to the League of Prizren, with an old cemetery in its yard. Right close to it, is the masjid followed by the Sa’adi Tarikhat, which was established by the Grand Masjid of Gjakova. Rrapi Marashit, the two meter wide tree, is another rare attraction and natural beauty, which requires specific climate conditions. The monuments lay among both banks of the river, on which the 16th century Stone Bridge was built. On the other side of the river, is the Sinan Pasha Mosque, being one of the most beautiful and main mosque in Prizren; built in 1615. Couple of meters away, after you pass the Shatirvan Square, the Siant George Cathedral is located. The cathedral is still being protected by KFOR Troops. Not far from the cathedral, you may also visit the Church of Saint Savior, belonging to the 14th century and built in Byzantine style. Along the way, leading to the city’s fortress up on the hill, there is another Orthodox Church; located on the right hand side of the road, just below the fortress walls. On the way there, you may see the old houses, many of them being abandoned and empty nowadays. On top of the hill, is the city’s Fortress, from where one can have a beautiful view on the city and Pashtriku Mountains. Being known for its traditional values, Prizren also offers a taste of traditional food; mostly offering grilled specialties. Personalities: Almen Abdi (Swiss international football player), Eshref Ademaj (mathematician and education activist), Ali Haydar Şen (Turkish businessman), Jake Allex (American Medal of Honor recipient), Arjan Beqaj (Albanian international football player), Nikollë Bojaxhiu (businessman, sponsor of the first theater of Skopje and only Catholic member of its city council), Petrit Çeku (Classic Guitar artist), Shaban Gashi (Cinematographer and photographer), Pjetër Mazreku (Archbishop of Bar and Bishop of Prizren), Ymer Prizrenivfounding member and leader of the League of Prizren), Kujtim Shalavformer Croatian international football player), Edis Tatli (Finnish boxer).